As regular readers know, I find it interesting and amazing that multi-level marketing companies still exist to scam people in 2014. It’s been more than 25 years after Money Magazine called the scam a mess looking to take in the gullible. Regular readers also know that I learned about MLM from writing about MonaVie, when one of their distributors tried to get my wife to buy a $45 bottle of juice. 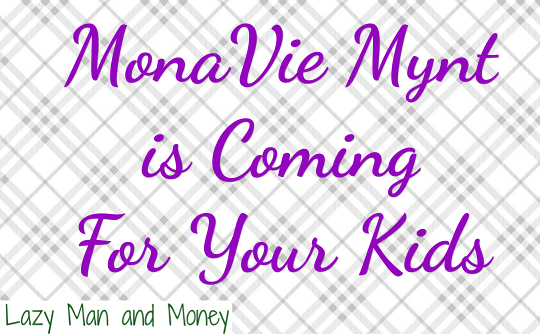 MonaVie Mynt is Coming For Your Kids! I’ve gone on to exposing quite a few of these companies and their fraud. A few years ago, I covered one called ViSalus that was getting press in that community for growing quickly (today the pyramid has imploded and they are a quarter of what they were). ViSalus was a little different than other MLMs I had written about. They got a lot of young people, around ages 23-27 and they seemed to be the top marketers. ViSalus put out a a bunch of misleading information about their pyramid aimed at that young market. With ViSalus’ implosion, it seemed like many of the brainwashed young distributors didn’t learn and jumped to Vemma’s Young People Revolution. Vemma had taken the attack to get your kids to another level in trying to brainwash them into believe they were part of some kind of “revolution.” In fact, it looks a lot more like the Young People Revolution is conning them into a pyramid scheme. I don’t see how it is any different than the FTC and even the FBI and Department of Justice investigating a similar MLM, HerbaLife, for recruiting people into a pyramid scheme. I’ve noticed that Vemma seems to have taken things a step further and going to the college campuses. Maybe ViSalus did the same, but it didn’t seem as obvious to me. Nothing like convincing college kids with no income that they should be spending it on a $40 bottle of juice and/or a $75 case of 24 energy drinks. However, this article isn’t about this ViSalus or Vemma. It’s about how MonaVie has decided to copy them to create their MonaVie Mynt program as a way to market to these young adults. MonaVie further defines Gen C as the connected generation, those “who are constantly connected to family, friends, businesses, and interests through the latest technology” and primarily between the ages of 18-34. It’s hard to call mynt noteworthy when it keeps everything the same including the compensation structure. While on the topic of that compensation plan (PDF), there is an income disclosure statement from 2011. I guess it would be too much work for MonaVie to make 2013’s numbers available… and I guess the same about the 2012 numbers. I’d see if they’d hire me, but it seems like they filled their quota of lazy… putting me to shame. I should mention that mynt does have some new products. In particular they have two new kits of products. One kit costs $1050 and earns 600 PV (personal volume). Another kit costs $550, but only earns 250 PV (personal volume). Earning money is largely dependent on the PV of the people you recruit meaning that they are likely to push recruits to buy the $1050 kit to earn the 600 PV. After all, if you can recruit two people to buy that kit (1200 PV points) it is near the same as recruiting FIVE people who buy the $550 kit (1250 PV points). In fact, they even “bold” that buying the more expensive kit “Keeps you Active for 2 months!” This is a good time to remind that the FTC says MLMs with Required Minimum Purchases to Earn Commissions are Pyramid Schemes. Pushing this purchase as a way to stay in the business clearly is a red flag. My analysis of the compensation plan above is purposely very simplistic, the compensation plan is so complex it would require more than a dozen blog posts to explain it. This complexity is another red flag of an illegal pyramid scheme. The mynt products that MonaVie introduced themselves are the basic lotions and potions that are known throughout the industry. They have their protein shake, just like HerbaLife, ViSalus, Shakelee, One 24, Reliv, and a dozen other MLM companies. There’s a “Burn” product based on green tea that can be purchased very cheaply (especially as the healthy drink itself) elsewhere. Then there is the “Cleanse” product… scientifically a load of bovine excrement. There’s a “Build” product of amino acids… which you can get in your whey protein replacing the need for the shake product – killing two birds with one stone. Then there’s a “Pro-bio” probiotic product, which claims to help your digestive system… if you have digestive problems that might be something, but living a healthy life means you don’t need to improve blood sugar control and those with lactose digestion problems have a solution called Lactaid that is proven. Finally there’s the energy drink… similar to the what Vemma’s Verve that’s been pushed to their Young People’s Revolution. At the end of the day, there’s really nothing to see here… certainly nothing close to spending a $1050 on. I would do a more in-depth analysis of the value of the kits, but MonaVie hasn’t given enough information to go on. For instance the expensive kit contains two bags of shake mix. How many pounds are in a bag? They don’t say, right now. At the end of the day, mynt appears to be a pile of empty marketing, with even more red flags of it being an illegal pyramid scheme than before, and some horribly priced “me too” products that don’t even contain the juice the company was founded on. If this was a fiction novel, no publisher would take it because it simply is too unrealistic. MonaVie Mynt has one thing going for them. They are focusing on young adults, who presumably haven’t been burned by MLMs/pyramid schemes previously. Most likely their friends haven’t had the experience of getting burned yet either. More and more it looks like MLM companies have churned through too many people and everyone who is not brainwashed knows it is a scam. It seems like they are admitting that their best plan is to brainwash them young before they know any better. The MonaVie Mynt program is launching tomorrow. My bet is that Generation C will be connected and intelligent enough to say, “MonaVie, go stuff yourselves! We are smarter than to fall for your artificial hype and marketing gimmicks.” Let’s pray I’m correct. I’m surprised you haven’t written about Nerium yet. They are newer and a few old high school acquaintances and friends sell it. One of my good friends got swindled in to selling so I agreed to try it for a week. I thought it smelled poorly and felt like my face was swollen (that seems to be the secret to the wrinkle reduction-just make the face puffy). They also put customers on a monthly re-order. It’s a shame because their customer base are middle class women who can’t afford over $100 a month for skin cream, so they end up trying to get others to buy so they get free product. Unfortunately some celebrities have joined in as spokespeople, this MLM has apparently bought air time on the Doctors, and really gets SEO. I only mention it because it is such a fast-growing MLM company. I got an email about Nerium a few weeks ago. It certainly is on my radar. Such an a stunningly inane and hollow tactic. The MLM industry has the finest marketing minds that minimum wage can buy. This is what a $1.98 marketing budget gets you. I liked the part at 00:25 where the poor kid with the spastic arms calls Mynt “a crazy business opportunity”. I think he was trying to sound “hip” but his comment should be taken literally. There’s no doubt that Mynt will fail miserably. Shame on them for targeting kids. Hysterical. A Harley Davidson gang without bikes??? That translates to “a bunch of fat beer-guzzling middle-aged men sitting on the couch…and on Facebook.” What will their next brilliant campaign slogan be I wonder? Mynt… it’s kind of like a legitimate business opportunity… but without being legal… and on Facebook. Mynt is like throwing a pebble in the water; just watch it sink to the bottom. This is the third major rebranding effort that the company has gone through since its inception. In the beginning, when the company was called Monarch Health Sciences, they sold weight loss products. They soon ditched that line, renamed the company Monavie, and began selling their eponymous overpriced sodium benzoate-laced, nutrient-bereft juice cocktail. After being widely scorned for deceptive marketing and illegal medicinal claims, they tried to turn down the heat by launching into energy drinks and weight loss supplements (Monarch redux). Their fortunes have been steadily waning ever since, and now in a last ditch effort to keep the pyramid from collapsing, they’ve undertaken this latest misbegotten campaign with Mynt. The most notable aspect of this latest rebranding is its lack of originality. It is, as Lazyman pointed out, a virtual clone of Visalus, which is also failing miserably as of late. It’s absurdly funny that Monavie, a company made up mostly of stodgy old conservative god-fearing Mormons, intends to suddenly reinvent itself as a youth brand. I’ve already had a chance to witness the mindnumbingly shallow means by which they hope to accomplish this demographic shift — it involves the same old cast of clowns but now with EDM playing in the background, images of good looking 20-somethings on skateboards, and lots of talk about Facebook and Jeeps (they stopped just short of trawling schoolyards in white panel vans offering bags of sweet Monavie candy). This feeble effort is such a head-scratcher that I have to wonder if its just another one of those sleight of hand tricks that they pull every once in a while to keep their existing distributors from quitting during hard times — in this case, telling them that a brighter future lies ahead because now they’ll be able to prey on ignorant teens — or simply a means by which to squeeze more money out of them. I would bet that when Mynt is launched, the connection to Monavie will be kept as quiet as possible. If the name appears on promotional materials at all, I suspect it will be in very fine print. Another thing I’m curious about is what the terms are for existing distributors to participate in Mynt. Based on what I heard in the video above (starting after the 20:00 mark), it seems that existing distributors will have to enroll in Mynt. My guess is that they will have to fork over some cash to do it; i.e., a signup fee and/or minimum required purchase(s) of Mynt products. Requiring existing distributors to re-enroll raises an important question about whether the existing lines of sponsorship will be shuffled in the process. Pushing someone back down to the bottom of the pyrmaid would be an effective way for the company to cut back on bonus payouts, and it would also create openings, known in the MLM world as “break insertions”, at the higher levels of the pyramid, which could then be offered as an inducement to solicit what they would consider to be more desirable new distributors, such as those crossing over from other MLMs and bringing their existing downline networks with them, or potentially compelling spokespeople such as B-level celebrities and action sports athletes who might appeal to a younger demographic. I find it utterly deplorable that Monavie, after having consistently established a reputation for fraud and deception, is now going after naïve impressionable kids who are still wet behind the ears. This needs to be nipped in the bud. It’s an embrassmynt. Getting back to the lighter side of Mynt, you may have noticed if you watched the video that they are now coining pithy neologisms for their idiotic marketing campaign; my favorite was “technologymynt” (see the 10:30 mark). I have to marvel in amazemynt at that misstatemynt. They should be talking about things like recruitmynt, unemploymynt, enfrocemynt, judgmynt, and imprisonmynt. I am getting far too much amusemynt from these commynts. ROFL again! Like shooting fish in a barrel. Here’s Monavie’s top (Crowne Black Diamond) distributor Steve Merritt making it pretty damn obvious that Mynt is a product-based pyramid scheme. I don’t see how anyone has even a remote “chance to be first” unless every single existing Monavie distributor, including Merritt, had to start all over at the bottom to participate in Mynt and participate in a lottery to randomly assign spots. We know that’s not going to happen. The existing kingpins will still hold the top positions in Mynt and the other high-rank spots will go to pre-selected individuals. The deck will be stacked as always, as evidenced by the fact distributors, in addition to Merritt, are already promoting the hell out of the business as a ground floor opportunity — like this agitated ape Dave Dubbs, a self-proclaimed 12-year veteran of the MLM industry. Ryan and Ashley Di Nello (bottom-tier quasi-celebrities) are also promoting Mynt as a “ground floor opportunity” (01:34). How can it be a ground floor opportunity for all new entrants given that there are already so many people who got in on the ground floor ahead of them? Looks like Monavie is treading on very thin ice, given what’s going on with Herbalife and Vislaus/Blyth right now. Tolerance for MLM pyramid schemes seems to be at an all time low. Oh you know it’s a legitimate business when it’s on Facebook! Two of my closest friends are leaders in MYNT and just earned their car. I originally signed up, then did my research on Monavie, and pulled from the program (not getting my place holder money back either). I have gone to them with the above information about the FTC but they insist that the head people are working with the FTC and all is fine. They remain unconvinced and I am concerned for them. They think I am “uneducated”in the area of business (although I am the one that did the research), so they will not listen to my naive notions. (a near quote). I just wait and hope they don’t get shafted. If they don’t get out they will get “shafted” from my analysis. I’d advocate that you help your friends to engage in selling products vs. recruiting people. I’d like to hear more about this “place holder money.” That seems to be a red flag of it being a pyramid scheme… holding your position in the pyramid. Unless they give you proof that they are working with the FTC, they are not… probably just saying that to get you off their back. People involved in these schemes are quick to throw out vague insults such as “You just don’t know how it works” and “You are just being negative.” It’s the best argument they have when they can’t debate the facts. I was required to pay $42 to hold my spot in my friend’s downline (I think I was her “leg”). I was told it was non-refundable. I am technically still a “distributor” and I can purchase the stuff at the distributor price and I can even sell it according to our team leader. I don’t know about any proof of working with FTC. When I told my friend I felt that this was potentially illegal because the $1,000 is way above what the FTC says is legal. Her comment back was, “Oh (the top leaders name) is already working with the FTC.” I’m not sure how much of that is true. She didn’t tell me I had to sell or guarantee purchasing a certain amount per month. I haven’t gone to any subsequent meetings once I pulled out, so that may have come up later. I had the opportunity to talk to an ex-distributor of Monavie. He was the top sales guy in our region. He told me he got out because the President of MonaVie was caught taking company funds for personal profit and then the company took a friend’s downline and gave it to one of the “good ole boys…i.e. someone in their church”. He is no longer with MonaVie. Sadly, none of that would surprise me. How does one get the FTC to investigate this and declare it illegal? There’s an FTC Complaint Assistant here: https://www.ftccomplaintassistant.gov/. I encourage everyone to fill it out. Unfortunately, the FTC is very, very underfunded (our government’s deficit does them no favors) and the law requires that everyone get their day in court. Essentially the FTC has to go to the courts and make their case and then there can be a trial. Unfortunately this process costs millions and the FTC’s budget for the year, for EVERYTHING they do, is under $300 million. So they can’t go after all these companies, even if they knew they were scams. Billionaire Bill Ackman has famously tried to get an investigation on HerbaLife for something like 18 months now. He’s spent a ton of money illustrating HerbaLife’s scam and is even accused of buying off Congressmen to write letters to the FTC, SEC, etc. to get an investigation going. A couple of months ago, the FTC officially announced they were doing an investigation on HerbaLife. So maybe if you have a few spare million lying around and the ability to influence Congress.. you too can get one of these companies investigated. I have neither, so I’m calling these companies out on their BS, hoping to give people the information to make an informed decision. You are confusing an illegal pyramid scheme that is based on recruiting with a hierarchical organization such as a company’s organizational chart. A lot more people (99%+) of them lose a lot of money with MLM. The few in each that make a lot of money do it from all the losses of the others. Stop wasting your time trying to con other people and due the research first. why do people get so hung up over these topics. Its just $$ and products. whats the big deal?? No one is holding a gun to peoples head to buy..just like no one holds a gun to peoples head to buy a $6 cup of coffee that costs 15 cents to make…or to invest in the stock market..or buy a $400 pair of shoes for their girl friend. People aren’t getting “scammed” they are making choices with their money. Thats the beauty of this country. Freedom to spend and earn as we please. Its not that serious. Truth/Gratidude/Stay Hungry!!! I don’t drink coffee, so I don’t know about $6 coffee. I certainly wouldn’t advocate paying that. Remember this website is about getting great value for your money. Personal finance guru David Bach has made millions telling people to avoid the Latte Factor and has even trademarked the phrase. The other difference is that the $6 coffee is at a restaurant. MonaVie is not. There’s a lot more overhead with restaurant service and it often comes with the use of really comfortable chairs, free wifi, and the like. You are comparing apples and oranges. The seemingly illegal pyramid scheme and illegal medical claims tied to MonaVie are clearly scams. And yes, people have the freedom to spend their money. They also have the freedom to do the research, like what is presented on this website, and make an informed purchasing decision. If you are a company selling a Honda Civic quality car for $300,000, I’m going to call you out for it… especially if people are making illegal claims about the car like it facilitating time-travel. It may be a product, a MLM, a business, Pro sports etc.. most things in this world are scams. Just have to find the truth in all this mess. No, most things in the world are not scams. I don’t see where “pro sports” come into this. You are making it more of a mess than it is. Um.. Yes they are Lazy Man. There are things that you see as reality that I can show you are just the opposite. You have alot of insight but dont “see” everything. Marriage being the biggest scam going these days.. If you think things other than Mynt are scams, then feel free to write your own article about them. This is a place to discuss Mynt. Dont know if you saw this already. Monavie founders resigning?? I didn’t see that. It sounds more like they are retiring more than resigning… at least with the spin they are putting on it. I think they probably see what’s going with Herbalife and want to get out before the FTC crackdown on MLM happens. Interesting back-story to this supposed “retirement”. When I was investigating MYNT I spoke to an ex-leader of Monavie. He said that the founders were discovered to have used company funds – MILLIONS – for personal use. No legal action was taken, but it was covered up and kept quiet while “transition” took place(now called “retirement”). There were some other unethical business practices that were hush hush, which is why this ex-leader is an “ex” leader. I remember when Dalin Larsens son went on a rant on social media a couple years ago about the company. I thought that was kind of fishy. Hmmm…a portent of the future perhaps? The last time Dallin Larsen hastily exited from a senior executive position was when the feds brought Dynamic Essentials down for illegally marketing Royal Tongan Limu. I would love to read more about that rant. Can’t find it on a quick Google search. The only thing I could find was this Amthrax article referencing my own JuiceScam.com website. I remember writing the article, but for some reason it was no longer published. I went to the Internet Wayback Machine and found it archived. I have just climbed out of the rabbit hole that your articles led me down, and do not regret the time I spent here. You present a clear and cogent view of the MLM world, applicable not only to MonaVie but to the vast majority of schemes out there. I’m quite disturbed that I drank the kool-ade with another such company and stayed with them for so long. The hype can be quite captivating, much like the lights and bells and sirens of a Las Vegas casino. In the end I became disillusioned that I was recruiting people into a business with a 97% (or greater) failure rate, simply because “everyone deserves a shot.” Thank you for taking the time to post this invaluable information. It’s very complex and I think people see the hype such as big checks (marketing the exception, not the norm) and pep rallies. I don’t blame people for falling for it. It’s good that we now have a way to find useful information to expose these companies and their marketing. The biggest problem I have is that sometimes people are already too brainwashed, too far into the company that they can’t see the scam and instead see me as a threat for preventing them from recruiting others. Jams I am glad you saw the light. I wish I could say as much for my friends who are a) making a lot of money and already have their cars (because they are the top of their pyramid), etc b) proclaiming it as the best thing since PB&J, and c) refuse to believe that it is an illegal pyramid scheme because they “are selling a high quality product” and others are making money. I have to remind myself that it is kool-aid every time I hear of another large check in their bank account. But to be honest…there is a part of me that still wishes I could have been ignorant and been collecting those checks too. However, I think it would haunt me. So the real problem with MLM is the whole recruiting aspect did you know with the FTC ruling distributers are required to maintain a retail base of people who do not do the business and need to keep a list of 10 customers they maintain a month, we do focus on retail not everyone wants I do the business. Other flip of the coin I people only understood the concept behind being able to recruit. Think of recruiting like a reality office. You open a reality office your running around can’t keep up with work demands. What do you do you leverage other people’s effort and instead of 100% your own. So you employee realiter agents to help you grow your business a network of realist are agents now as your at home sick your agents are closing a property or doing sales and you are getting a % percentage of all sales without having to be physically closing yourself your leveraging other agents. Like the creation of franchise it’s a fact networks build wealth. So if you use a similier concept build a web of people who all do a little work as a community and buy from themself, and find other people who buy from themselves, and shift ther buying power to an MLM they like, everyone will keep sharing and everyone’s webs will grow. Of course some will just be a customer don’t want the business side. MLM is Legal and that is Final FTC has set out the Amway ruling which is the foundation for all MLM. There is no strict requirement from the FTC for distributors to keep a list of 10 customers. MLM put that in their policy to so that they can appear to be legal. Herbalife recently said that it has no way to look up these retail sales which would show it isn’t a pyramid scheme. So while they tell distributors to do it, there’s no evidence it is being done and also no evidence that the company verifies that each customer was a valid customer. Realtors are not required to buy a minimum amount of property to get in the business. It is these required purchases to be part of the business that creates the sales volume of the business. And in the example you gave, it isn’t an endless number of real estate agents recruiting. It might be two levels and that’s it. Also when was the last time a real estate agent tried to talk you into becoming agent? It simply doesn’t happen. They are smart enough to know that there is only so much real estate that needs to be sold and if agents are recruited endless, there is too much competition and not enough business. MLMers aren’t smart enough to realize that and continue to create competition by recruiting, which in turn limits their prospects at legitimate business (selling product). Franchises are different too. McDonalds does 100% sales. McDonalds franchises do not recruit other McDonalds franchises and receive a cut of their earnings forever. Do a little more research into the FTC and Amway ruling. The FTC was suing Amway and Amway was ruled by the justice system as not a pyramid scheme because of the protections it has in place. The FTC didn’t agree or set out anything… they simply lost. That ruling from the 70’s has largely been rendered useless since MLM companies don’t have the same protections in place today (no verifiable, transparent, enforcement on the 10 customer rule for example). Stephen Enriquez, I didn’t fail at MLM. I was a successful internet writer for years before I had looked into MLM. Nope, by my reasoning and the information I’ve provided in the article, MLM is scam based on the fact available, not my individual feelings. I am so tired of seeing MLM’s on Facebook. Now I am seeing things about mynt. I don’t know how the owners of these companies can sleep at night with a clear conscience! Who knows if they do. From what I’ve seen, they judge success by the size of their bank account, not their impact on others. Time and again, I see MLMers going back to those claims. Statistically, it’s very few people who can legitimately make these claims, so it is probably the “Fake it until you make it” crowd. This is why I write these articles. MonaVie is going to “blow up” just not in the way that kids talk about expanding. Google Trends shows MonaVie has been on steep decline since April of 2008. That’s almost 7 years of decline. I’m not sure what any other objective person would need to know. However, as you say, people get so brainwashed by the cult, they are in too deep to see it is a bad idea. I’m sorry to hear that your daughter is involved with mynt. I have a friend who went to the Vegas conference as well. He is also being brainwashed with the hype. It’s very sad. My sister and her husband were involved with Amway for around 5 years. They were just convinced that they could become like their upline person and be a high dollar player in Amway. I sent them articles and told them how much time and money they were wasting. Yet they just kept saying that we were hating and were squashing their dreams. Unfortunately they had to learn the hard way and after 5 years, they finally admitted that it wasn’t working and they were going to put a hold on Amway. I hope your daughter can figure out how bad this is before 5 years. Maybe just continue to send her articles or links to websites like this one? Maybe there is someone outside of her family that can talk some sense in her? Unfortunately they never seem to listen to family members. So Stephen, what type of mlm are you in? And are you successful at it? You are mis-leading people by writing this hogwash and propagating it as fact. With any opportunity comes the risk of failure. You are laying out opinions thay are only supported by people who were too lazy to work on their businesses and thought with the lottery mentality that they were gonna get rich by doing very little. These Reviews are not biased they are down right fraudulent. Some business “opportunities” are really schemes designed to take your money through pyramid schemes. There’s great video here and guidance from the FTC here. My opinion is formed by extensive analysis of MonaVie here and Juice Scam (which I also offer). I’ve meticulously details hundreds of cases of fraud. This isn’t a website for those looking to run a lazy business, a lottery mentality, or get rich by doing very little. This is a website about personal finance, which includes educating people about legit business opportunities and those that are scams. To James: this website is just telling us what most people already think and feel. Over the last 17 years, I have had no less than 10 people try to recruit me for mlm business’s. Every single one of those people have used lies and manipulation to try and get me to attend one of their meetings. I don’t think that is a coincidence? Why did all 10 of those people have to lie and mislead me? Mlm’s are nothing more than a disguise to scam people. I have seen it first hand. I have been involved with Mynt since May 30th of last year. I have to say before I joined I thought it was a scam but I joined because of the health my friend and his parents gained through the CORE products. My friend worked out six days a week because he was a prospect for the LA Angels of Anaheim as a catcher but could never get his abs, four weeks into the eight week transformation he was already changing. My family and I decided to take a look and went to a meeting, we were not pressured into doing the business, getting on autoship or anything like that, they presented the opportunity and said it was ultimately our decision. We decided to try it and lost 25 pounds in 2 weeks and I felt amazing. We completed the eight week program and I lost 50 pounds, my mom lost 49 pounds and my dad lost 45 pounds, it is the greatest thing we have ever tried I have tried herbalife, atkins all these diets but Mynt is different because of the opportunity Mark Macdonald has created by helping teach you nutrition and how to eat properly as well as supplement since we are all busy. Eight months down the road I have lost 93 pounds, my mom has lost 115 pounds, and my dad has 73 pounds. I do not agree with your claims you don’t even know what we do you created this article when the company was barely launching. We are helping people gain back their lives, stories like people who no longer take insulin for their diabetes due to blood sugar stabilization, what we do works so well is most companies do not explain the purpose of proper nutrition and we do. MonaVie Mynt’s products won’t give you abs. It’s that kind of false marketing that gives MLMs a bad name. If Mark McDonald is teaching true nutrition, he shouldn’t be recommending any MonaVie products. He should be recommending regular food… not short cuts. They never last. It sounds good to say that you’ve all lost nearly 100 pounds, but since your information about the abs is not reliable, neither is your undocumented commentary of company that appears to be a pyramid scheme. I do know what MonaVie does… I have been writing about the company for almost 7 years now. It isn’t a new company that was barely launching unless you are referring to 10 years ago. If you are interested in nutrition don’t get your information from a pyramid scheme. There is more than enough nutrition available without the scam. [Editor’s note: Facebook video deleted…] Lots of people coming over from Vemma to Mynt. See the article about why Vemma is a scam. Just noticed that one of the reps from mynt is now declaring that Warren Buffet, Bill Clinton, Donald Trump, Sir Richard Branson, Dr Oz all endorse MLM where they don’t….warren did buy shares in Pampered Chef and some of the others promote network sales (working from home) and mentioned scam and fraud when I researched it…how do these companies get away with it. That’s one of the great lies of MLM. They throw out these big names as endorsing MLM and none of them are actually MLM distributors. I’ve written about Donald Trump and MLM. He leased his brand to an MLM making money for himself. Bill Clinton has been a paid speaker for the Direct Selling Association, the lobbyist group for MLMs. MonaVie sold to Jeunesse, another MLM. Wish I would have seen your site a year ago. I would have saved $6500. People tried to warn me, but I thought they just didn’t have the “right” information! Egg on my face! I am old enough to know better too! I thought that “my” company was different than “Amway”! I have a few friends attempting to pull me into this exact “company” i was opposed for the exact reasons this article expressed. They recently were rewarded with a new car for reaching a new plateau. What do you make of these type of rewards offered? Read the fine print on the car. Most MLMs don’t give a car, but instead make you get the car and cover lease payments AS LONG AS YOU MAINTAIN YOUR LEVEL. Pyramids collapse and some people are stuck with a car that they can’t afford and no income of which to make payments. It can ruin their credit for years. I wrote about this in more detail on my ViSalus post which is similar to Mynt in targeting the early 20s crowd. It’s somewhat similar to the housing collapse of 2008 when banks would give people mortgages that didn’t make sense. I am a distributor of mynt products. Most of what you said contradicts what mynt is…. Yes, that’s the nature of the article, so show that reality is very different from MonaVie Mynt’s marketing. I have been bombarded by so-called friends on Facebook trying to get me to go to their meetings. They are aware of my bleak financial picture due to multiple surgeries in one year so they keep bothering…One friend went as far as pretending that he was interested in me in order to talk up the “opportunity”…everything with them is “exploding” or “firecracker” or “exciting”…talking about things that you would like to do but you are afraid to…life coach, etc… If they are truly making money, that’s awesome. I had a bad experience in the past when I was younger and less stressed about money. And everything that they get and money they make is a blessing from God. I am pretty sure that God is patting himself on the back for the Monavie/Mynt business model. I hate when people use your weakness and your circumstances to make you feel like if you don’t take advantage of this opportunity, you are going to be left behind. How many people does it take to be on the ground floor? Glad I found this site. I was pretty convinced that I wasn’t going to join and now, even more convinced. been following this since many friends asked me to join mynt. from what I hear there is not longer any MYNT. that was fast it came and went. supposedly they got bought out. glad I didn’t waste my money or time. Yep, MonaVie got bought by another company. Even going to MonaVie.com takes you to somewhere else.